2017 was surely not a very good year for HTC as the company failed to impress with its U11 and the launch of HTC U11+ was too late. If the U11 were launched with the same design and specifications as the U11+, it surely would’ve been a great hit of last year. Anyways, the company is now working on the upcoming flagship, i.e., HTC U12. One thing that we know about the phone is that it is coming with the Snapdragon 845 processor under the hood. 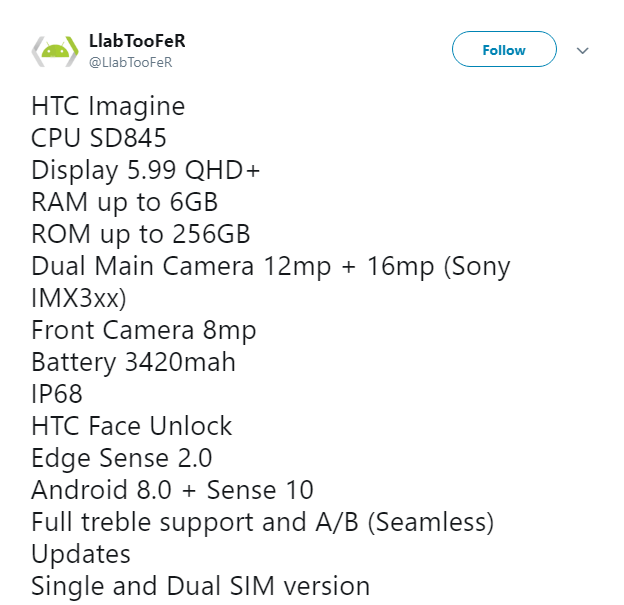 Today, the alleged specifications of the U12 (HTC Imagine) have leaked out. Starting with the display, the phone has a 5.99-inch Quad-HD+ display and yes, the display has an aspect ratio of 18:9. 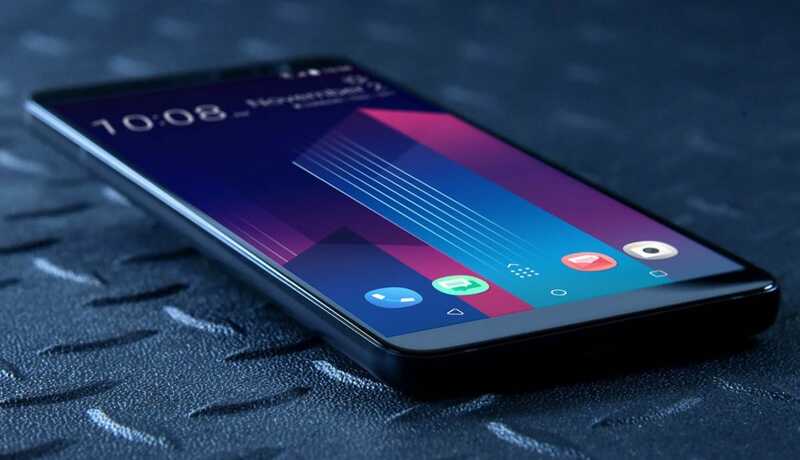 Just like previous HTC flagships, the HTC U12 has a glass and metal design. We missed the wireless charging on the U11+, so we are expecting to see it on the U12. Under the hood, there is an octa-core Snapdragon 845 processor along with up to 6GB RAM and up to 128GB internal storage. There is also support for microSD card. The camera gets an upgrade as the phone has a dual rear camera setup that includes 12MP+16MP (Sony IMX 3xx) sensors. The front camera, however, remains the same as on U11+ i.e., an 8MP shooter. The phone has a 3,420mAh battery which is smaller than the one on U11+ (3,930mAh). The phone also supports Qualcomm Quick Charge 3.0. Android 8.0 Oreo runs out of the box with the Sense 10, Full Treble Support and Edge Sense 2.0. The HTC U12 is IP68 dust and water resistant too. The phone might launch in April. So, what are your views on the specifications of the HTC U12? Do let us know via the comments section.